Our cars are designed in a very sophisticated way. They are equipped with a lot of electronic systems, and one of these parts are the car’s onboard diagnostic system, (OBD) system. Some of the possible malfunctionings that can occur in your car can be detected either by some inappropriate sounds or by some physical signs. But some faults, that are not easily detectable but do occur in your vehicle, are represented by the Check Engine Light in your car. 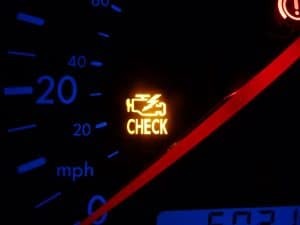 When the ECU (Engine Control Unit) detects a problem that it is unable to regulate, it then turns on the check engine light on your dashboard. This check light will either keep on glowing or will blink depending on the nature of the fault. Let’s say if Engine Check is on regularly then it means that there is a problem but not an emergency. But if it is blinking, then it means there is an emergency problem with your car. For example, a faulty oxygen sensor, cannot be just detected until check engine light indicates that there is a problem in the engine’s any of the parts and then using the compatible device to decode that problem. But sometimes, engine check light is not always due to any major problem or malfunctioning. Just resetting the engine check light is what it all needs to be done. The simplest way to reset the check engine light is with an OBD2 Scanner. But if you do not have one available, you can often do it without one either. It’s still recommended to check the trouble codes first with an OBD2 scanner if the Check Engine light is ON. Here are some different ways of how you can reset your check engine light. 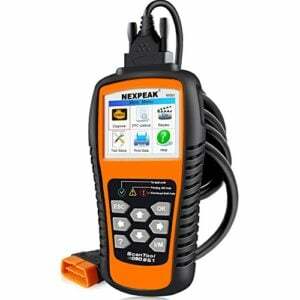 If you have an OBD2 scanner available you can reset your Check Engine Light within seconds. If you want to get one, you can check out our other article of the best OBD2 scanners to buy. When your check engine light is on, connect the scanner to the Ob Board Diagnostic Connector (OBD) that is situated under the steering portion in the most vehicles. Then switch on your car’s ignition and turn all other devices connected into the car. After the connection is established between computer and car, the press read button scanner so it can check all activities going in an ECU. After the scan is complete note down all error codes that are diagnosed by the scanner, decode those problems using user manual of particular make and model. Once the code is decoded, the problem is detected. Solve that problem, if that part needs to change then change it or if it needs to calibrate it then do its calibration. Once done, erase error from the scanner by pressing “Erase/Clear” button. Once the problem is solved it is recommended to switch off the ignition, then switch it on again, see if engine check light is not on again and recheck from the scanner that is it giving the same fault again or not. This is the first technique of how to reset your check engine light without a scanner. Battery disconnection technique is a conventional way of resetting your car’s check engine light in some cars. First of all, remove your battery’s both positive and negative terminals. Then try to drain any available electricity present in car’s capacitor by pressing horn for around 20-30 seconds or turning on lights. After all, electricity is disconnected, then leave your car for 10-15mins. After this short span, reconnect all battery terminals, make sure they are well tightened to avoid any possible sparking, and then switch on your car. If on restarting, your car is giving that same check engine light, then it means that there is some serious problem in our car. In such a case, it is highly recommended to make an appointment with a professional mechanic and get your problem solved to avoid further possible problems. Switching on and off ignition is also one of the ways of hard reset without disconnecting batteries. Put keys your ignition and turn on and off your ignition in consecutively after a span of second in each step. Once it is done, see if engine check light is still coming or not. If check light is off, then you are ready to go, but if it is still coming then get ready for an appointment from a professional mechanic as a problem could be of some serious nature. One of the possible ways to reset check engine light is to wait and let it go by itself. It is really an easy way, what all you have to do is to just wait and continue driving your car for around three days. Car’s computers are designed in a way that works in a continuous cycle and refreshes their present state. Remember that you have to make sure that the old problem is gone before doing this technique. For example, if ECU detects some problem in oxygen sensor that could occur due to a minor glitch, then it might fix automatically as ECU will update sensor’s status once glitch is removed, setting off check engine light. But if your check light is still on even after three days, then either apply above mentioned methods yourself or take your car to a mechanic. Once you have to get your check light removed using any of the four above mentioned methods, then you are ready to go. But if after a few days, your check light glows again, it means there is some major problem in your car. If you scan using a scanner and same problem code does not appear again, it means then some new fault has occurred in your car. But if the same code is still coming on the scanner, then, in this case, it is highly recommended to go get an appointment from some professional mechanic/technician and get a full diagnosis of your car with a good OBD2 scanner. One of the possible ways of getting your check light off is by pulling off engine control units fuse. Although this won’t solve the problem in newer cars, because of which check light was glowing but it will simply disconnect engine check light’s connection with Electronically Controlled Unit (ECU). The best way is to use a good Scanner to reset your check engine light. If you do not own one, you can probably lend one from a friend or ask a mechanic workshop to reset it for you. Remember that it may not be possible to reset the check engine light if a problem still occurs in your engine control unit. The glowing of engine check light is a sign of some malfunctioning in your car. It indicates any possible fault in your car’s engine. Sometimes they get solved themselves but sometimes they are an indicator of something really bad that is going your car and could further disturb your car’s functioning. So don’t ignore it, and get is solved using any of the above methods to avoid any major losses. If you have any other questions, leave a comment down below.